We love the new First Edition Alphabet Tile dies. 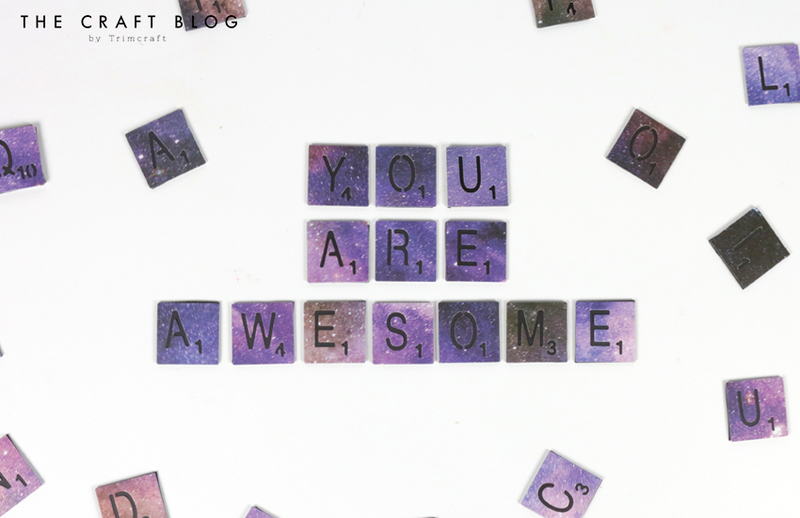 They are so versatile - but we thought that they would make awesome magnets for you to make words and phrases from! This is a super easy project and with a few simple materials, you’ll be making these in no time. Pop them on your fridge or on another magnetic surface and you can enjoy leaving messages. Since you’re making these yourself, you can decide which letters, words or phrases you’d like to create! Watch our fun video tutorial to learn how to create these fun magnets. Will you be creating your own alphabet magnets? We’d love to see if you do, so don’t forget #Trimcraft when uploading to social media and to share your projects in the Inspiration area. Don’t forget to subscribe to our YouTube channel for more fun makes, video tutorials and inspiration! I just love this iddea, sooo perfect, that we can now get these as dies to just cut as many out as we need.